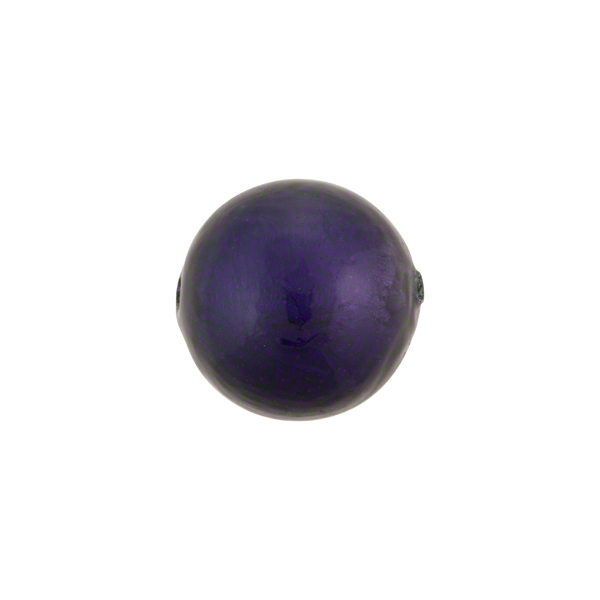 Blu inchiostro is a very beautiful transparent plum (purple) color, in this case, layered over white gold foil to make a 14mm round Murano glass bead. Mix it with some of our other blu inchiostro beads and Swarovski crystals for a fantastic look. A 1mm hole runs through the center of the bead.